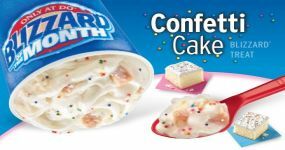 Be our guest and throw your birthday party at DQ! Call DQ Tallahassee to find out more about cost and how your local DQ can help you create a memorable party. It's Always a Party at DQ! You don't need a planned event to celebrate a special occasion. Visit DQ after a Little League win, during a family fun day, or just on a hot summer afternoon. It makes special moments even more memorable.